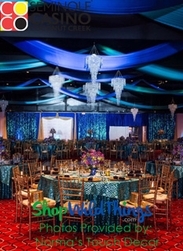 Create your own ice castle from the Disney movie Frozen with our Lafayette faceted acrylic crystal beaded curtains from ShopWildThings. 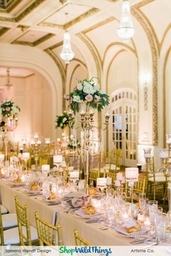 Our stunning pictures on this page show examples of how to show off magical, sparkling backdrops. Visit our Decor Photos and Ideas page to see a darling picture from a Frozen-inspired ice castle photo shoot by Embree Photography. 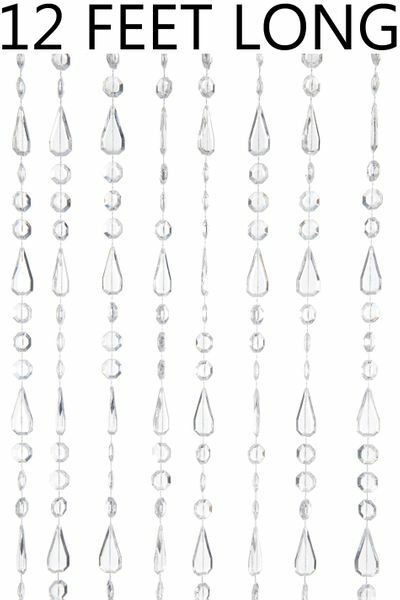 This Lafayette beaded curtain is a mix of large non-iridescent acrylic diamond beads and acrylic teardrops alternating on each strand. 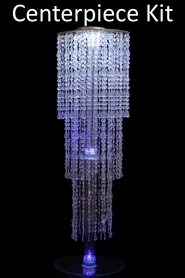 All beads are faceted to reflect the light. 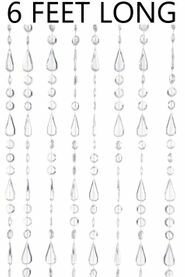 The diamonds are a half-inch (12mm) in diameter, and the teardrops are nearly 1.25-inches (30mm) long each. 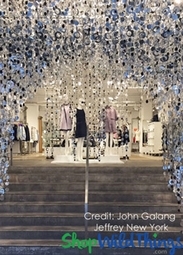 Each crystal curtain has 28 strands of beads on a matching white header rod that is 35.5 inches wide. The length from the top of the rod to the bottom of the strands is 144 inches, or 12 feet. The metal eyelets at the top slide along the rod to allow you to adjust the width. Buy two or more to cover wider spaces. 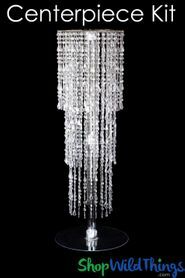 Watch our delightful video to see how easy it is to hang these magnificent crystal bead curtains. 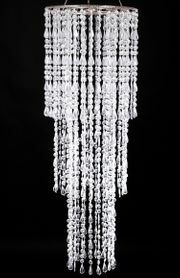 When your Lafayette beaded curtain arrives, keep the ties in place. 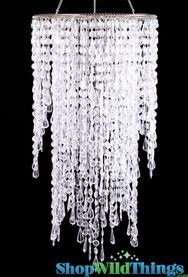 We recommend hanging the curtain in place at its full length before removing the ties from the strands. To store, tie the curtain into sections of strands before placing them back in the box. 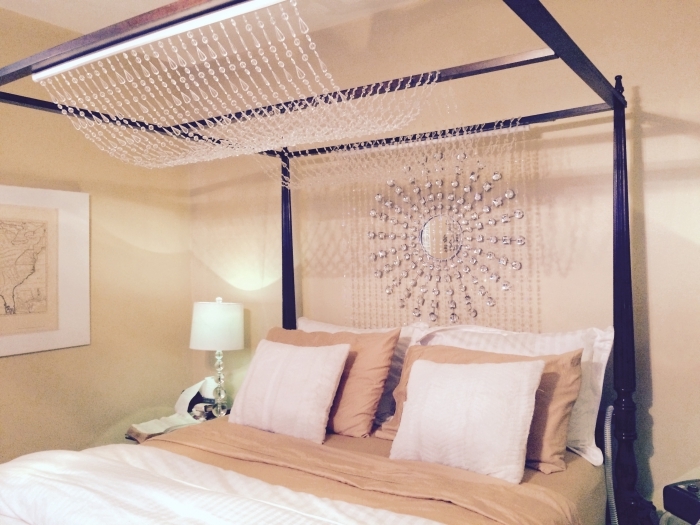 I love love love my beaded curtains and chandelier. Finally found something to spice up my bedroom decor. 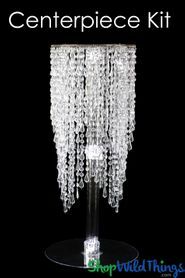 I find myself browsing this website just to see what else I could purchase to enhance the beauty of my home and style. ProsShipping was fast; though I was in no hurry to receive my package. I've told all of my friends about this site. 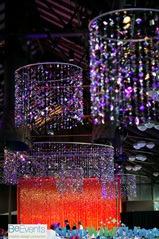 The Crystal's were everything that I hoped for to complete the design for the wedding. ProsThey were inexpensive, but looked so real. ConsEasily tangled, but it's worth it for the price. 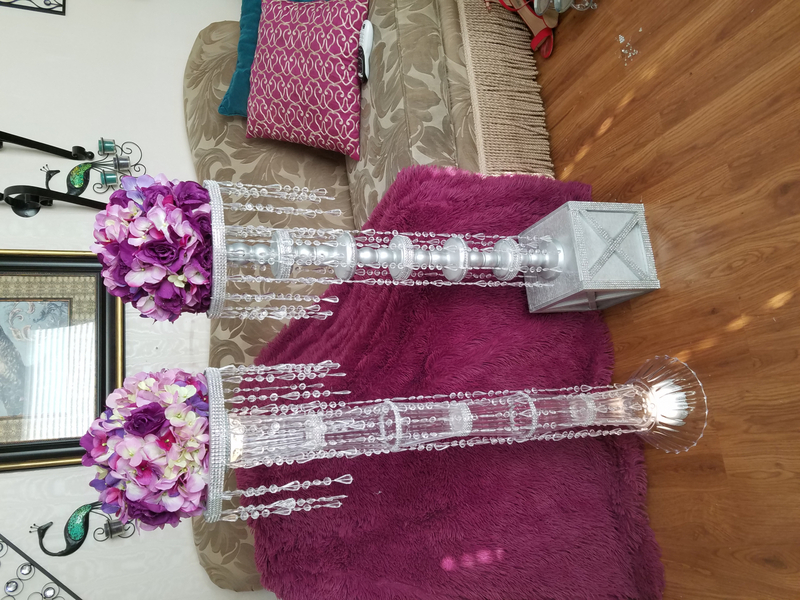 I didn't use it as a curtain, I took it off the rod and used it to make tall floor chandeliers for my daughters wedding. They were beautiful. ConsWish you would sell them by the strand. Other wise great product. We are using it for a Wedding Ceremony to decorate the tree and we think it will look perfect. Great price too!! 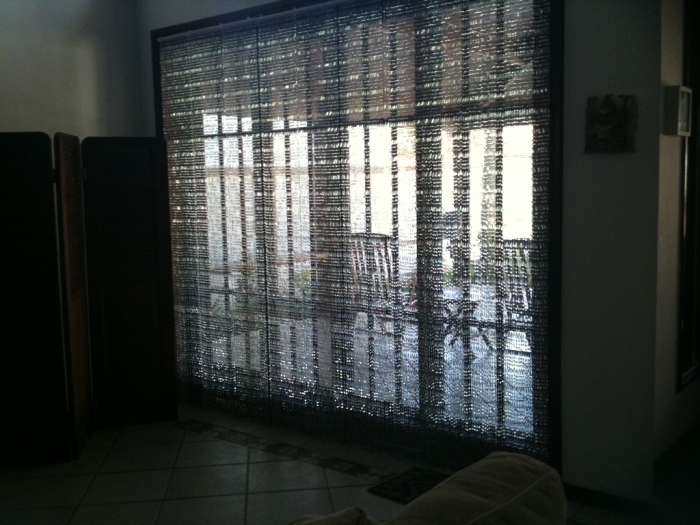 Wow, what a dramatic statement the beaded curtains made. Loved Them! 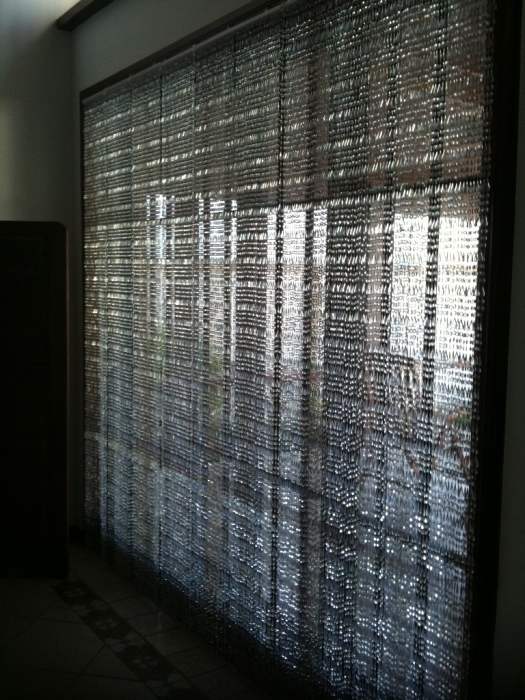 Wow, what a dramatic statement the beaded curtains made. 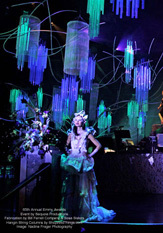 Merchant Response:Awesome backdrop using our Beaded Curtains. Thank you for your review and photo! 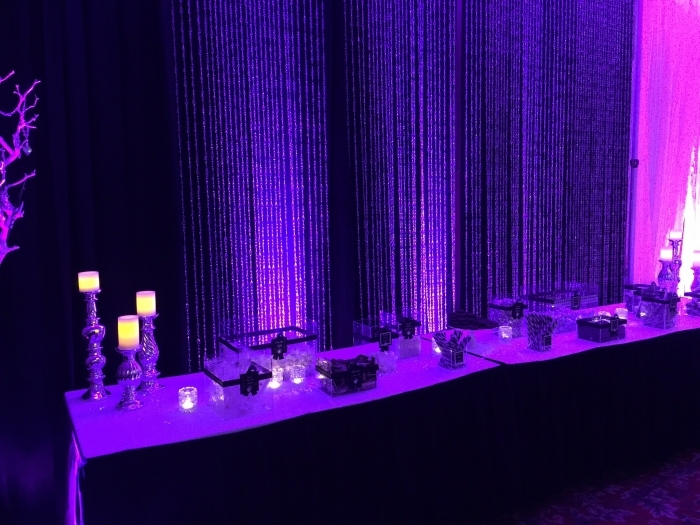 The curtain looks fantastic, couldn't find anywhere in New Zealand that make these beaded curtains so had to import from USA but the freight service and tracking were excellent , highly recommended. An inexpensive option to make a real impact. I bought two for high-up bathroom windows. 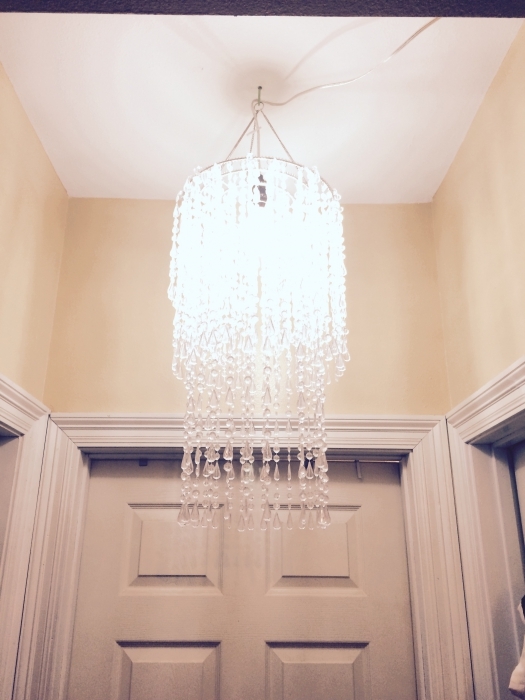 The crystals complement our bathroom chandelier and the effect is really lovely. I was careful to select NON-IRIDESCENT beads and so they do not look cheap. The strands are NOT close together, but I knew that from other reviews. I rather randomly cut the 12 foot strands before we hung them. And frankly, the random effect is VERY attractive. All strands hang below the window frame in irregular lengths. I had planned to trim strands to hit at the window sill, but this effect is much more pleasing. Very heavy.... feels very "luxe." The curtain is as advertised. It would be nice if there were more strands per hangar....But if you buy extra you can add strands. I am happy with these because the door I have is so large I did not want to have a screen door built. The strands close together work great to keep out flies and mosquitos. ConsStrands could be closer together. I have used my set for 2 events. 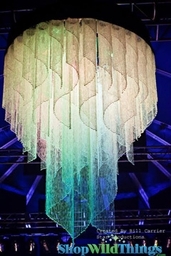 I am a mobile event company and we use these as accents on our drape. We cut the lengths in half for 18" sections and they hung very nice, the strings held up very well to being tugged and tangled then untangled. Others the second you pull on the crystals they pop off and ruin the curtain, these We packed back up carefuly and intend on using many more times. Consthey tangle very easily but good luck finding a curtain that does not do this.